You may not have heard much from Soulja Boy since his hit "Crank That" dominated your dorm room parties, but now Soulja Boy is back in the news for something not so lighthearted. Soulja Boy was arrested for possession of a loaded gun this morning in Los Angeles. Soulja Boy, real name DeAndre Cortez Way, was the passenger in a car that was pulled over for running a stop sign in the San Fernando Valley. Police noticed Soulja Boy was in possession of the weapon and arrested him immediately. He was taken to jail and bail was set at $35,000. Soulja Boy currently remains in custody according to the latest reports. 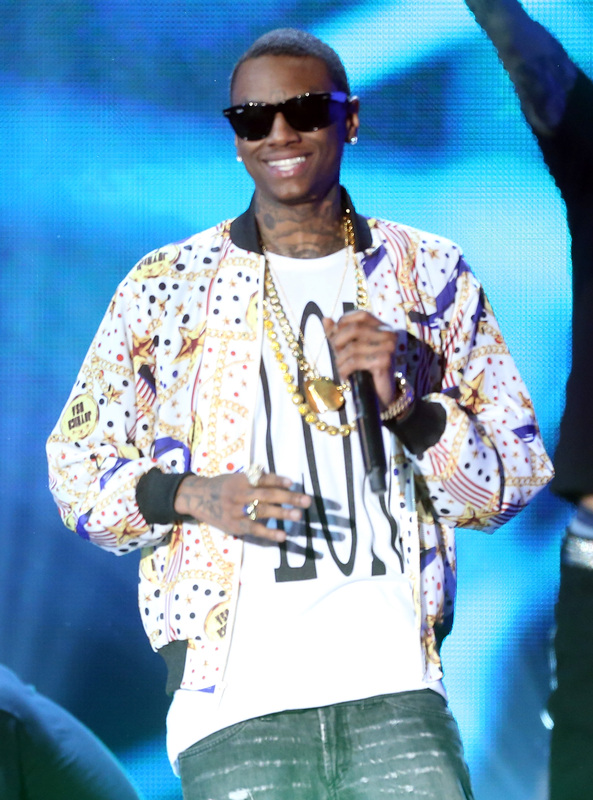 Soulja Boy has had other run-ins with the law since releasing his debut single in 2007, one of which was very similar to the current arrest. In 2011, Soulja Boy was arrested in Georgia on felony drugs and weapons charges after a "routine traffic stop" lead police to find more than five ounces of marijuana and a gun in the car in which he was a passenger. More recently, Soulja Boy drew attention when he refused to sit down during take off of an American Airlines flight. Soulja Boy ended up being kicked off of the plane and later gave a public apology to the airline staff and passengers.